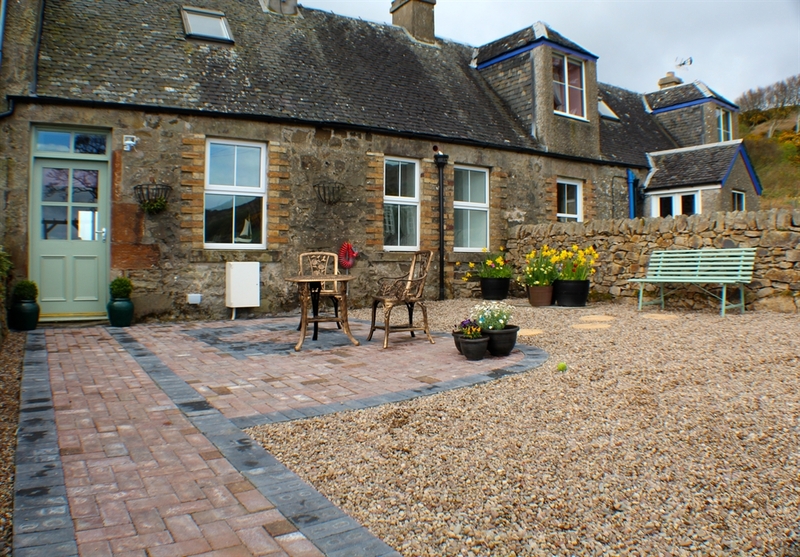 Weavers Cottage is a traditional stone built cottage which has been restored to a very high standard. The cottage enjoys countryside and sea views and is ideal for one or two couples or a small family. Weavers Cottage is a real gem and has been completely restored to a very high standard and has private gardens to the rear and the front. Weavers Cottage sleeps 2-4 and is best suited to one or two couples or a small family. The Cottage is situated away from the road and enjoys countryside and sea views from all aspects. It's an ideal retreat surrounded by wonderful countryside, lovely woodland and coastal walks right on the doorstep. The accommodation comprises of a downstairs en-suite bedroom with king sized bed and an upstairs balcony bedroom with a king sized bed leading to a bathroom with a roll top bath. Both rooms have quality bed linen and towels which are included. The cottage has a large well equipped kitchen, cosy lounge with comfortable sofas and wood burning stove and television. There is a mixture of underfloor heating and radiators. A sunroom with patio doors leading to the rear sun-trap garden with outdoor seating. Electricity, oil, firewood, towels and bed linen are provided.